Compare to March 30, 2015. 25 KB press 10# ea. 200 m double KB OH walk 20# ea. Kettle bell presses w/10#..didn’t expect those to be so hard. Picked up 25# and quickly dropped to 10#..hard to get it stabilized on my weaker arm! 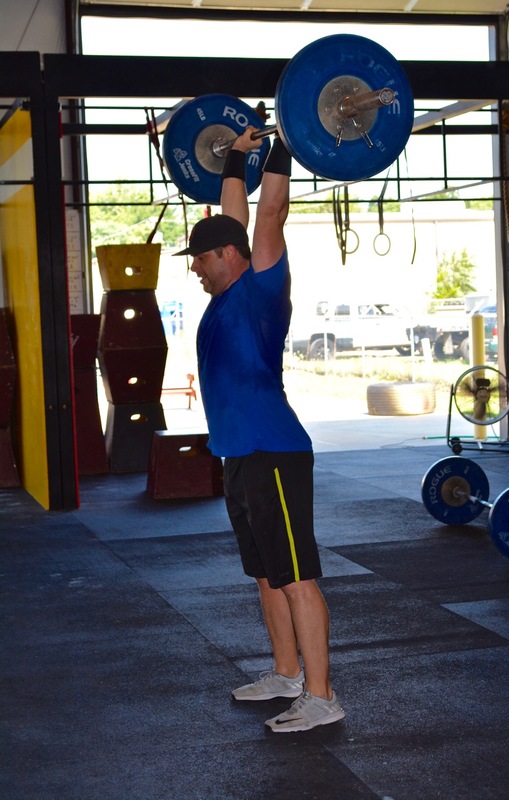 WOD as Rx’d = 13:00….holy shoulders!!! WOD: did parallel bar dips for comparison reasons. Not strict standards on dips and push-ups half way through but probably was the the same way as last year. Oh yeah, 30# PR for thrusters. Core + shoulder work after. Who’s planning on running fast in the 400 tomorrow and what class are you going to go to? WOD with 85#, white band to get my shoulder to bar dips, and knee pu. Wod with 135#, paralette dips after 1st rd. Excited to be getting back up to pre-baby numbers!! Push-ups are still very very slow. Left shoulder not feeling great, neither is lower back. Up to 110# on strength. Need a do-over when I’m feeling 100%.